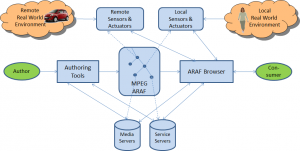 A standard for user interfaces (MPEG-U). 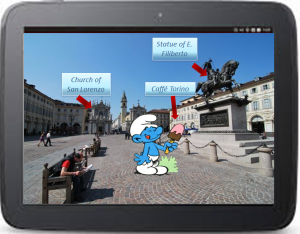 Augmented reality is an environment where computer-generated image or video is superimposed on a view of the real world and the result is presented to the user. A simple example of Augmented Reality is provided by Figure 1. Figure 1 illustrates the scope of the standard. 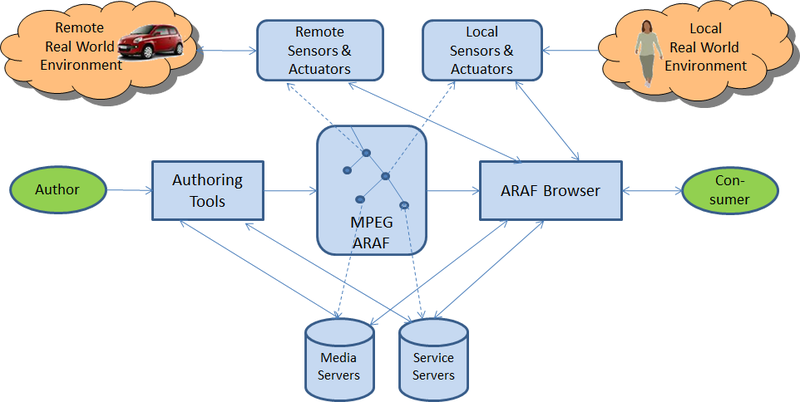 From the left we have an author of the ARAF file who uses an ARAF Authoring Tool to define local interactions, access to media and service server, but also define what should happen when a person crosses a localcamera or a car crosses a remote camera.